Governor Nathan Deal was joined by Ambassador Andrew Young, Georgia State Representative Calvin Smyre and Leroy Hood, founder of the Institute of Systems Biology, in formally proclaiming September 1, 2011 Personalized Medicine Awareness Day in the State of Georgia. 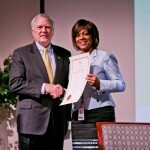 Georgia Governor Nathan Deal presents Morehouse School of Medicineâ€™s Dean and Executive Vice President, Valerie Montgomery Rice, MD, with a state proclamation declaring Sept. 1, 2011 Personalized Medicine Awareness Day in Georgia. 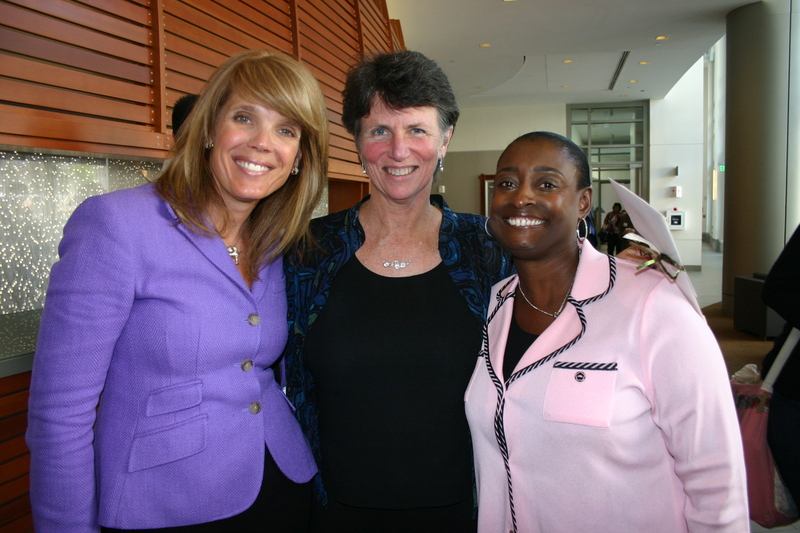 The event at Morehouse School of Medicine (MSM) was sponsored by Georgia Bio; the Atlanta Clinical & Translational Science Institute (ACTSI, which is funded by the NIH and led by Emory University with partners MSM and Georgia Tech); and Iverson Genetics, Inc.
â€œThe collaboration within the ACTSI between these three research universities is an important undertaking and an example of how it should be done,â€ remarked Governor Deal as he kicked off the dayâ€™s program. A visionary in the personalized medicine field, Dr. 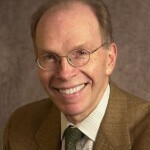 Hood developed the DNA gene sequencer and synthesizer and the protein synthesizer and sequencer â€“ four instruments that paved the way for the successful mapping of the human genome. During his keynote address he proposed a revolution in medicine. 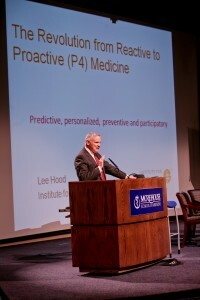 Â P4 Medicine â€“ Predictive, Preventive, Personalized and Participatory â€“ is a proactive (instead of a reactive) approach to medicine. The paradigm change will drive radical changes in science. 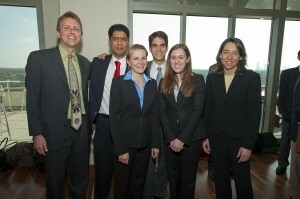 For P4 medicine to succeed, a cross-disciplinary culture with team science and new approaches to educating scientists, as is done through the ACTSI, has to take place. Dr. Hood predicts the human genome will be part of individual medical records in 10 years. â€œThe vision of P4 medicine is that each patient will be surrounded by a virtual cloud of billions of data points. Advances in science and technology will reduce this enormous data dimensionality to simple hypotheses about human health and disease,â€ says Hood. 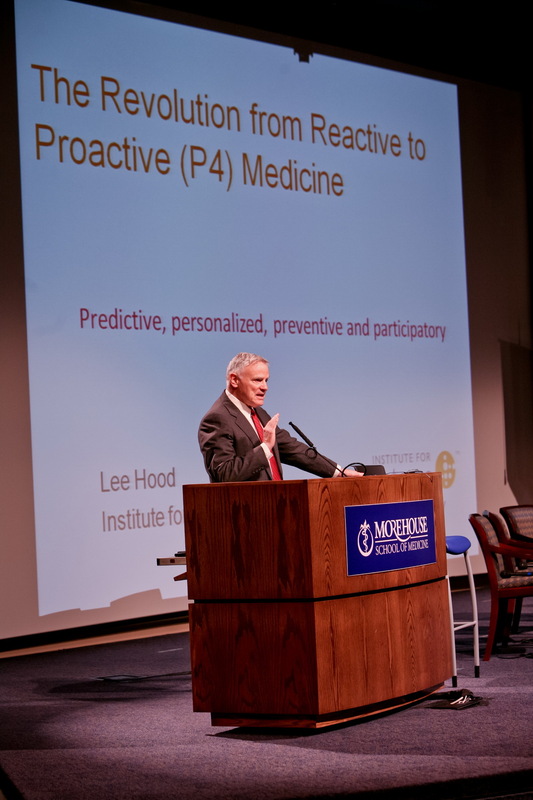 Personalized Medicine Awareness Day celebrated the first-of-its-kind personalized medicine study, approved by the Centers for Medicare and Medicaid Services. The study will determine the utility of genetic testing in calculating doses and reducing the incidence of adverse events associated with the initiation of Warfarin therapy. Warfarin is the worldâ€™s leading anti-blood clotting drug. Researchers hope the study will provide data to demonstrate that individualizing treatment can improve patient safety and reduce healthcare costs, says Dean Sproles, CEO of Iverson Genetics, Inc., which is collaborating in the study with MSM and the ACTSI. The Warfarin Study is led by ACTSI Senior Co-Principal Investigator Elizabeth Ofili, MD, MPH, director of the Clinical Research Center, chief of cardiology and associate dean for clinical research at MSM, and will engage 50 sites across the country and 7,000 participants. The first participant was recently enrolled at Grady Memorial Hospital. â€œThis study should help us understand how to use each patientâ€™s genetic information to deliver a safer and more effective dose,â€ says Ofili. 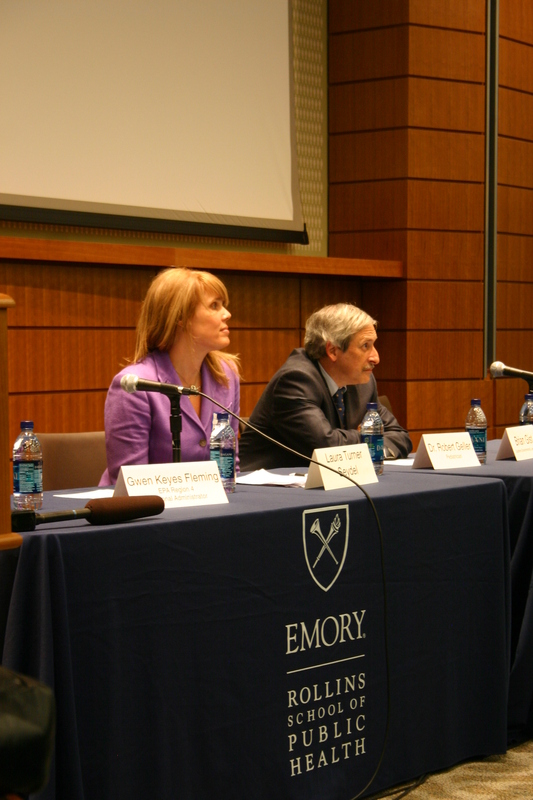 A panel including Emory medical leaders David Stephens, Fred Sanfilippo and Kenneth Brigham discussed and addressed questions like how to communicate â€˜big scienceâ€™ to the individual, how to move genetic testing to medical outcomes and who owns genome data. 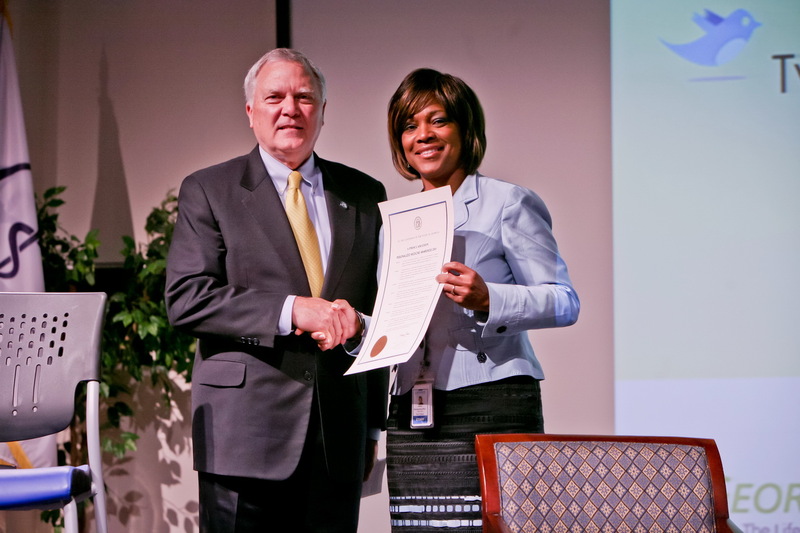 â€œPersonalized Medicine is the future,â€ stated Governor Deal. The presence of Governor Deal, Ambassador Young and Representative Smyre is a sign that policymakers are beginning to recognize that personalized medicine is not just a vision for better healthcare; it has the power to improve health and reduce healthcare costs. People don’t think of the Environmental Protection Agency as a public health agency, says EPA Administrator Lisa P. Jackson, but the EPA’s job is to protect the health of adults and children by safeguarding air and water and promoting clean communities. 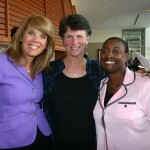 Jackson was the keynote speaker last week at a Children’s Health Town Hall at Emory’s Rollins School of Public Health. Children eat more, drink more, and breathe more in proportion to their body weight than adults, and without the EPA our jobs as parents would be much more difficult, said Jackson. And although a renewed focus on reducing air pollution has significantly improved air quality, still millions of young people have asthma and are particularly susceptible to pollution, and there have been no limits on some pollutants, such as mercury emissions from coal-fired power plants. Last month the EPA presented the first national mercury and air toxicity standards for power plants, Jackson noted. This effort to cut emssions of mercury, arsenic, and other neurotoxins is a common sense goal that would save lives and prevent 17,000 premature deaths annually, she said. 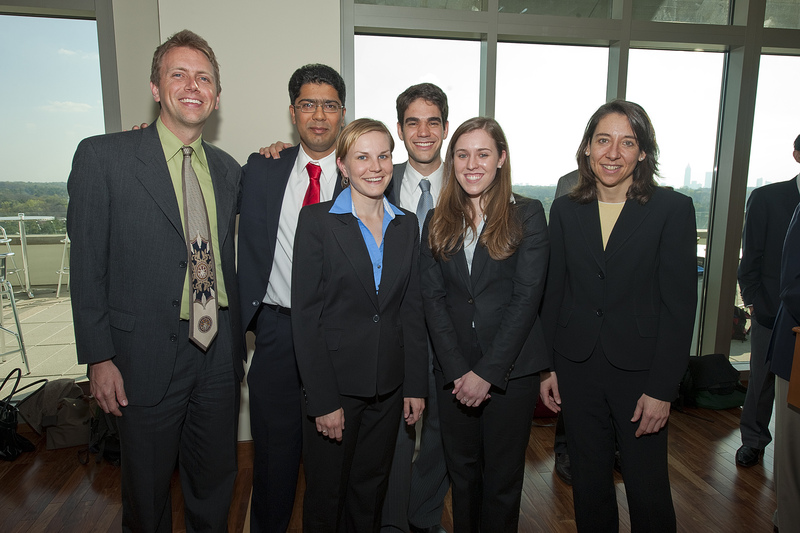 The EPA recently named Emory and Georgia Tech as one of four new EPA Clean Air Research Centers and awarded $8 million to the new Southeastern Center for Air Pollution and Epidemiology (SCAPE) center. Center directors Paige Tolbert from Emory and Armistead (Ted) Russell from Georgia Tech will lead programs aimed at quantifying health effects from air mixtures containing toxic pollutants and studying the specific effects of toxic air on commuters, pregnant women, newborns, and adults with cardiac illnesses. Russell noted the tremendous cost of air pollution, including millions of lost school days for asthmatic children, and the important of using study results as the basis for changes in policy. A “Call to Action” panel of experts and advocates at the town hall suggested steps everyone can take to improve environmental health. 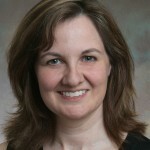 Environmental health champion Laura Seydel called for “zero waste zones” in homes, churches, and offices, and the outlawing of toxic chemicals to help create “zero toxic waste zones” in the bodies of adults and children. Dr. Robert Geller, director of the Southeast Pediatric Environmental Health Speciality Unit at Emory, and Director of the Georgia Poison Center, emphasized the importance of lowering exposure to toxic chemicals for children in the first two years of life, including contaminated soil. Civic leaders should expect the EPA to use the best science to advance its programs of reducing pollution. Irene Barton of the Georgia PTA recommended using local school wellness councils to advocate for children. Attorney Brian Gist of the Southern Environmental Law Center warned about mercury toxicity in Georgia fish and in sushi, and applauded efforts to regulate emission of mercury from coal-fired power plants. Maeve Howett, an Emory pediatric nurse practitioner and a faculty member in Emory’s School of Nursing, encouraged everyone to make a personal commitment to choosing transportation that is less harmful to the environment, for the sake of children with asthma. A videocast of the town hall is available. 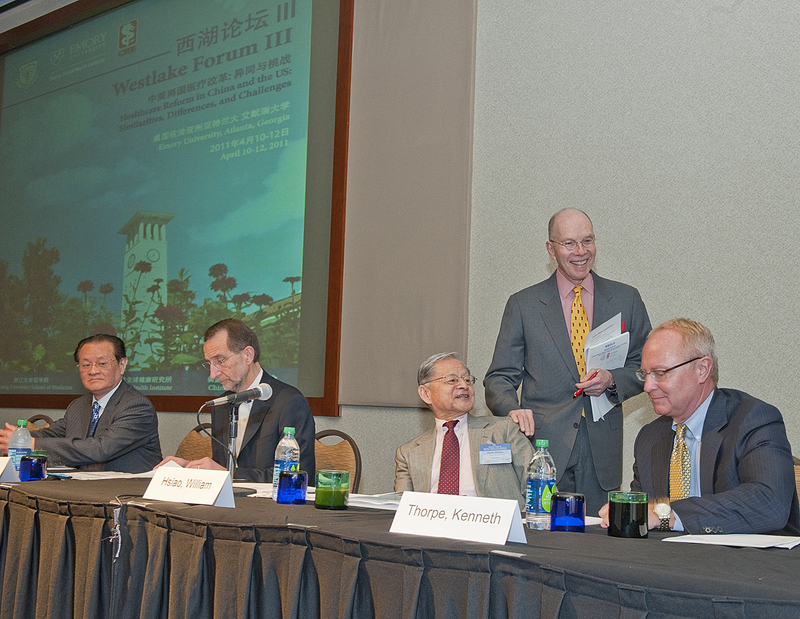 The recent Westlake Forum III at Emory brought more than 250 leaders from Chinese and U.S. academic and government institutions together to examine and compare health care reform in the two countries, focusing on cost, quality, and access to care. â€œThis was an incredible human partnership, bringing together two countries with very different governments and cultures, recognizing our common problems and desires for improved health of all our citizens, working together on difficult issues and exploring workable solutions,” said Jeff Koplan, director of the Emory Global Health Institute. The third Westlake Forum was the first to be held in the United States. 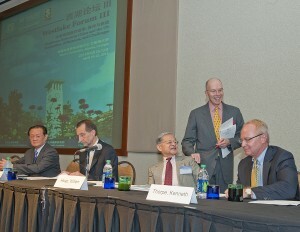 It was co-hosted by the Emory Global Health Institute, Zhejiang University School of Medicine, and the China Medical Board. â€œNow China and the US are facing the same challenge: to push healthcare reform forward. Our two countries need to share knowledge and experiences with each other, and to learn from each other,â€ says Yu Hai, MD, PhD, director of China Medical Board Programs, Zhejiang University School of Medicine. 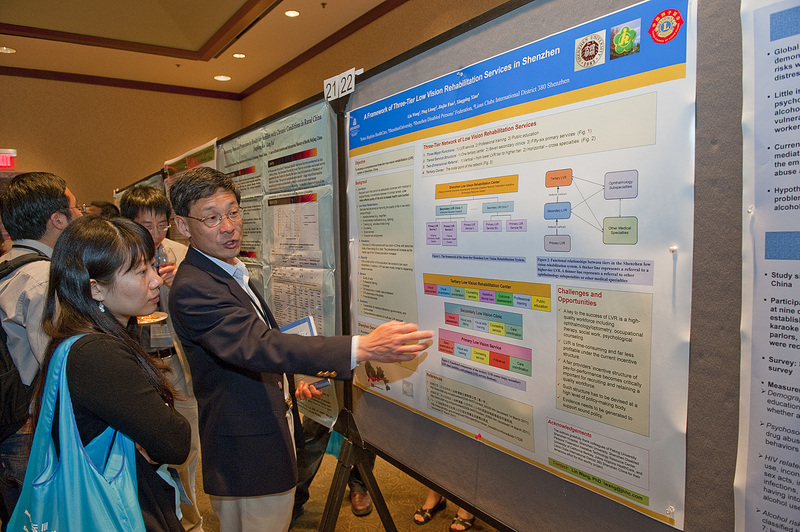 Howard Koh, assistant secretary for health, U.S. Department of Health and Human Services, presented an overview of U.S. health care reform. Shanlian Hu, a professor at Fudan University, described Chinaâ€™s health care reform priorities: expanded coverage, equal access, improved benefits, improved care delivery systems and containment of soaring medical costs. These are remarkably similar to priorities of the recent U.S. Affordable Care Act. In China, the government is committed to health care as a public good, with the goal of complete coverage by 2020. Although 90 percent of citizens are currently covered, cost and accessibility varies considerably. Hospital stays are longer than in the United States, medical training is less rigorous, and access to high-quality care is limited. As in the U.S., Chinaâ€™s public hospitals and providers struggle with the economic and quality issues generated by a â€œfee-for-serviceâ€ reimbursement mechanism. 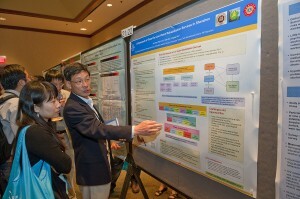 Participants worked on developing concrete collaborations such as joint research, educational exchanges or partnerships. Yet health care costs in China are only 5.13 percent of the countryâ€™s GDP, compared to 17 percent in the U.S.
William Roper, dean of the University of North Carolina School of Medicine and CEO of the UNC Health System, said health care in the United States is a â€œparadox of excess and deprivation,â€ and Americans need to rethink their long-held assumptions. Americans believe they have the best health care system in the world, yet we spend more on medical care than any other country, we are the only rich democracy in which a substantial portion of citizens lack care, nurses are in short supply, quality and safety are not as high as they should be, and incentives for physicians are skewed toward specialization and expensive technical procedures, Roper said. Harvard Professor William Hsiao noted that China has made significant progress in health care reform over the past seven years. In 2003, 75 percent of Chinese citizens were uninsured, whereas today China offers coverage on some level to 90 percent, with out-of-pocket payments continuing to decline. Problems persist in lack of well-trained physicians and equipment, distorted prices, and profit motives of public hospitals and officials. Ken Thorpe, from Emoryâ€™s Rollins School of Public Health, outlined the newly passed U.S. health reform law, which aims to expand and improve coverage and access to quality care and control rising costs. Many of these improvements would likely be paid through Medicare reductions and increased taxes on higher income households, he said. 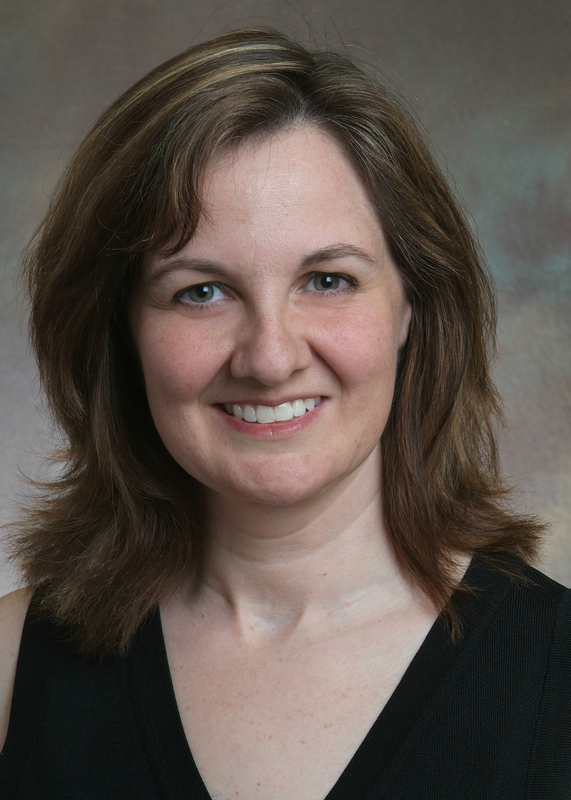 Elizabeth A. Buffalo, PhD, a researcher at the Yerkes National Primate Research Center, is one of two recipients of the Troland Research Awards. Buffalo is being honored for innovative, multidisciplinary study of the hippocampus and the neural basis of memory. 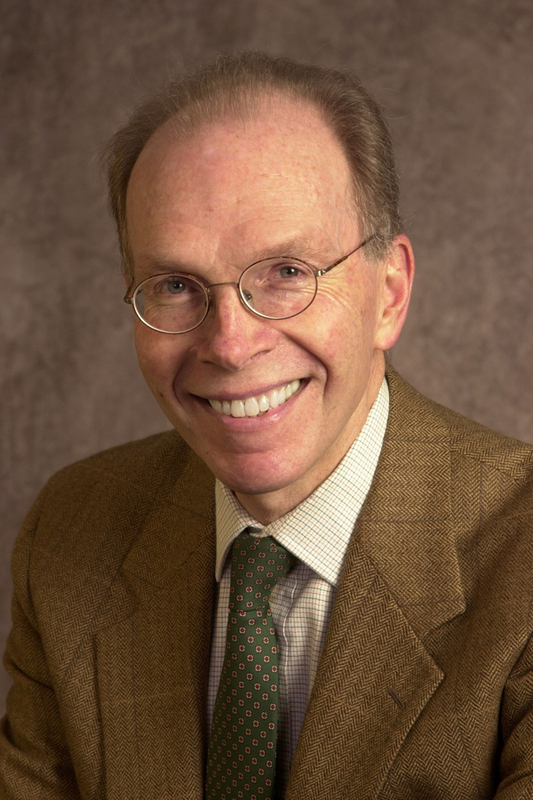 Troland Research Awards of $50,000 are given annually to recognize unusual achievement by young investigators and to further empirical research in experimental psychology. The recipients will be honored in a ceremony on Sunday, May 1, during the NAS 148th annual meeting. Jeffrey Koplan, MD, MPH, director of the Emory Global Health Institute and vice president for Global Health at Emory University, is leading the second phase of the Tobacco Free Cities project in China, funded by the Bill and Melinda Gates Foundation. The project, which launched in 10 Chinese cities this week, is a partnership with the ThinkTank Research Center for Health Development in Beijing. Vice mayors of each of the 10 cities signed an official pledge to strive to create tobacco-free cities for residents. China has more than 300 million smokers, the most of any country, and more than 500 million people in China are exposed to secondhand smoke. â€œThe two-year project aims to enhance the overall capacity in smoking-tobacco control of the cities and help ease the burden caused by tobacco to public health, the environment and the economy,â€ Koplan says in an article in China Daily. The project launch was covered by other major Chinese news outlets, including Xinhua News Agency. The first phase of the Tobacco Free Cities project launched in June 2009 in seven Chinese cities. The project is part of the Emory Global Health Institute-China Tobacco Partnership. 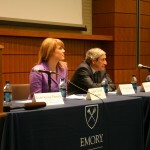 In January 2009 Emory University received a $14 million, five-year grant from the Gates Foundation to establish the partnership.